“The King” celebrates Elvis as a symbol of the American dream — but argues that America is in its Fat Elvis stage, the period of decline that Presley spent performing in Las Vegas and addicted to pills. Jarecki believes America can save itself, but only by confronting its economic inequality and racism. When Chuck D agreed to an interview, Jarecki said, he had assumptions about what he might say, based on his lines in “Fight the Power.” But Chuck D surprised him. 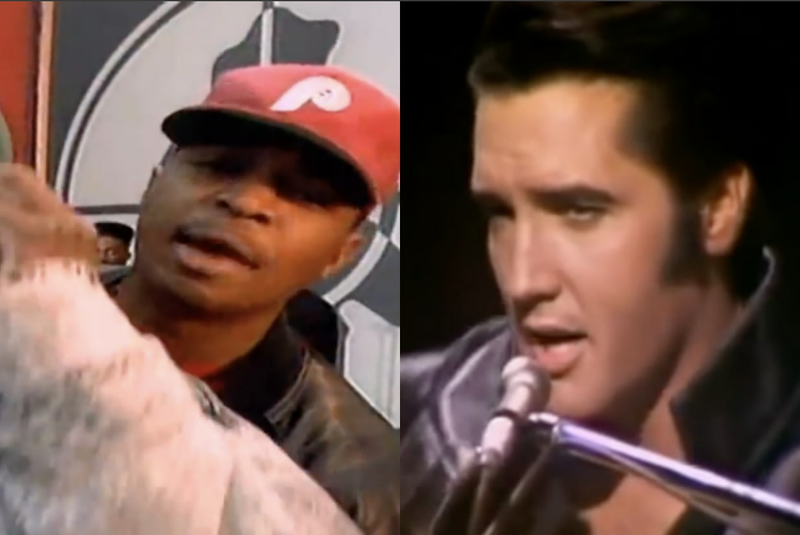 In his line about Presley in 1989’s “Fight the Power,” and his interview with Jarecki nearly 30 years later, Chuck D shows that you can come at the King, score a hit, and still have the generosity to separate the artist from the racism that boosted his career. But “The King” is only getting started.